Have you seen the newish feature on the blog? I started a new feature on this here little blog called #FriendshipFridays. It is really simple. Running isn't about exercise and fitness only anymore. It is about being social and finding a community. For example, see We Run Social! Bloggers get to know other bloggers and become besties and I want to explore how that happens by interviewing different people. So sit back and enjoy the stories of these Blends (Blogger Friends)! This time, we are talking to Montana at Pretty Lil Mudder! This is another story on how social media can bring you awesome friends and friendship! Montana and Krystal met through a group on meetup.com. They didn't know at first that they were both bloggers. Montana started reading Krystal's blog about 6 months AFTER they met! She inspired Montana to start her own blog! Their first meeting was in June 2013 on a dolphin tour cruise in Florida where they both live. They met in real life first and it took a while for them to become close but now they hang out all the time and talk running and blogging. There was no real issue about safely meeting in person because the meetups usually happen in groups. Montana wasn't too worried about it. She went to a lot of meetups in 2013 with other ladies in the group. A few of them are still good friends with Montana today! When asked what it is about Krystal that inspires Montana, she said that Krystal's running and blogging inspired Montana to run and blog. And Montana followed Krystal's timeline- she started with 5k races and moved on to do half marathons. Montana has been the same way. They learn from each other and love running together! They run together all the time! Krsytal only lives an hour from Montana so it's not hard to get together. They ran Montana's first and Krystal's fourth half together at Iron Girl Clearwater and Krystal also did her first mud run at Rugged Maniac with Montana. These stories make me so happy! Do you have a running BRF? A Blend? A Blogging Bestie? 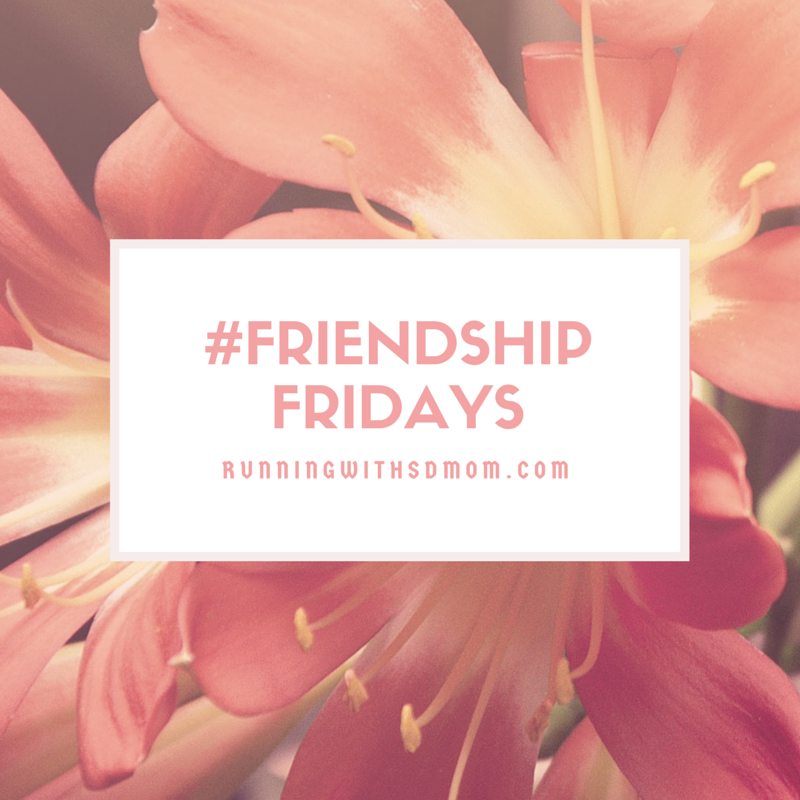 As always, if you would like to be featured on FriendshipFridays, drop me a note at RunningwithSDMom at gmail dot com! I would love to hear your story! So cute! Loved reading about them! so pretty girl . Loved reading about them!